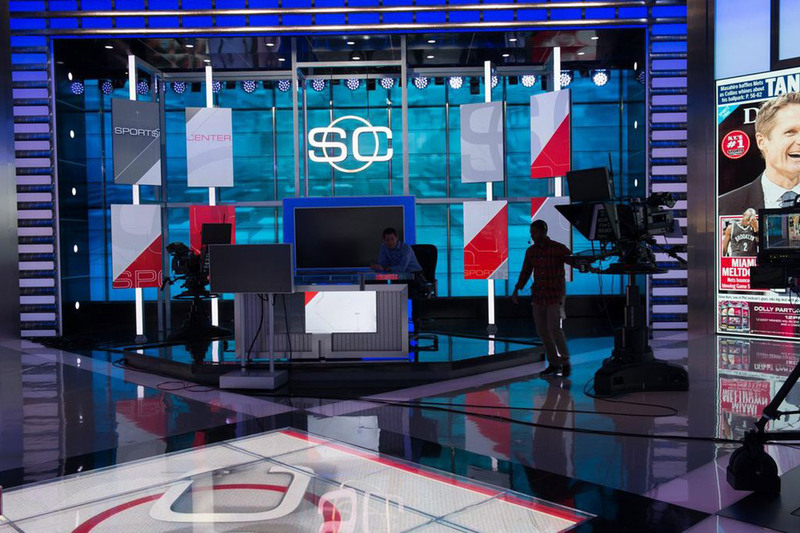 ESPN, the global leader in comprehensive sports coverage, has completed a five year development and construction project for its new Digital Center 2 studio/media production center. 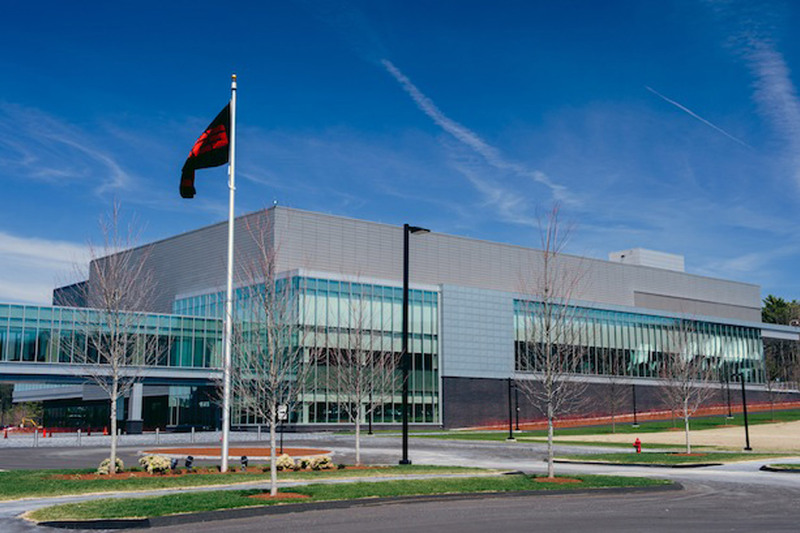 An ambitious addition to ESPN’s existing Digital Center 1 campus in Bristol, Connecticut, the 194,000 square foot complex was envisioned as a “format-agnostic/future-proof” creative production facility with unlimited potential for trail-blazing content creation. 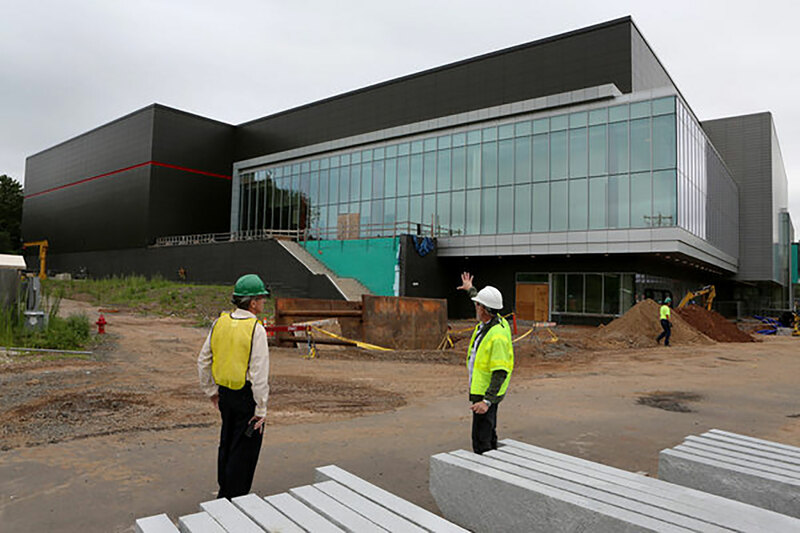 A comprehensive green and employee comfort-focused environment were primary goals for the new facility. 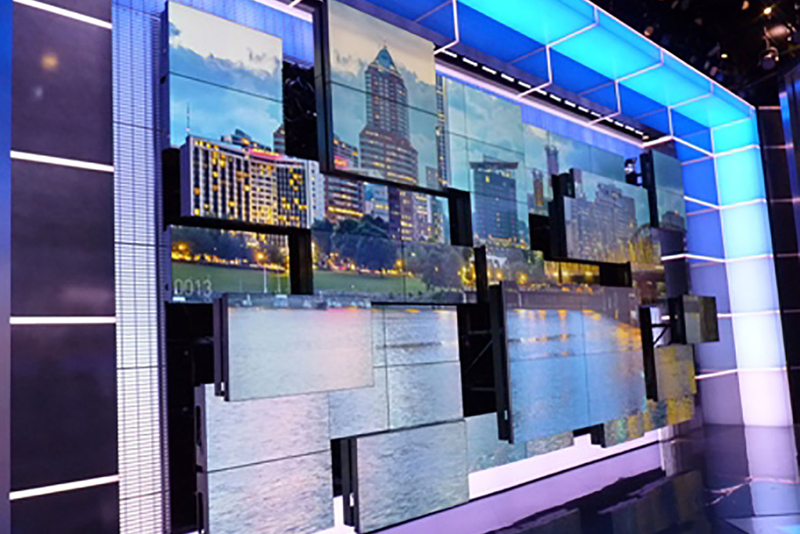 With six new production control rooms, four audio control rooms and 16 edit suites, ESPN’s Digital Center 2 technical capabilities are exemplified by a multi-dimensional monitor wall featuring 56 variably sized individual monitors designed to provide 3D-like graphic images. An arsenal of 40 state-of-the-art cameras is highlighted by a JITA cam capable of swooping up to a height of 22 feet and following a circular track to deliver a sweeping 360° studio overview. 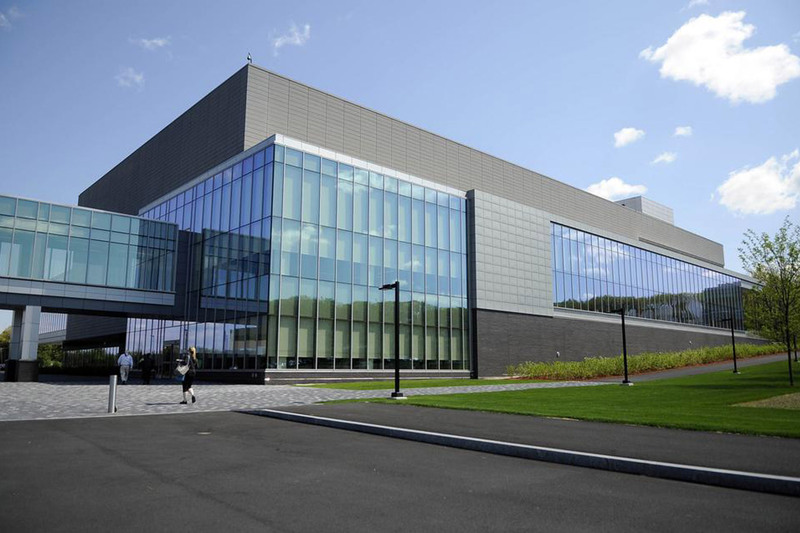 The Center 2 routing system can accommodate as many as 60,000 simultaneous signals over 1,100 miles of fiber optic and 247 miles of copper cable deployed throughout the facility. Beginning in 2009, WSDG worked closely with HLW International, LLP, a leading architectural/interior design firm The collaboration focused on providing a broad scope of acoustic isolation and construction planning services, for production and control room treatments, accommodation boundary details, treatment coverage, and finishing materials for high tech environments throughout the complex. All these rooms are dedicated to producing flawless audio and video for programs, , interviews, voiceover recording and the full spectrum of broadcast audio for video support. Overall quietness throughout the entire creative plant was an absolute priority. General acoustical specifications and recommendations were developed for all critical services including HVAC, fire protection and electrical systems. 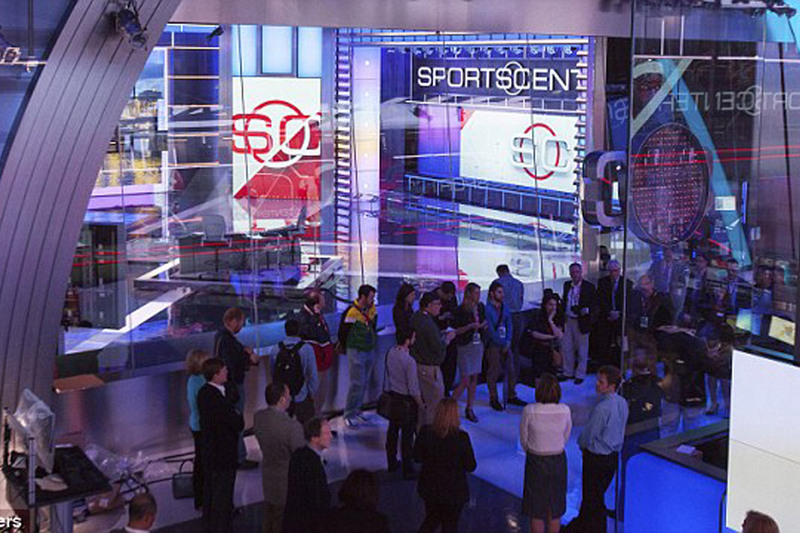 ESPN Digital Center 2 represents the apex of broadcast, cable, and Internet streaming production. The complex stands as a major accomplishment in next-generation audio/video production and delivery.